After what amounts to effectively a two-plus decade wait, the final announcement of the forthcoming Honda Africa Twin hit this weekend with less impact than I would have expected. It’s not because the new Twin isn’t a stunner on paper. If anything, I think most people are reserving their excitement for the day when these machines finally start rolling onto dealer floors. According to Honda that should happen in the early months of 2016. In what I would say is one of the most protracted teases in recent motorcycle history, Honda has been slowly releasing images and vague details about the Africa Twin for the better part of the last two years. As of last friday, they finally opened the books on this new motorcycle with all the juicy details, save for the final price. 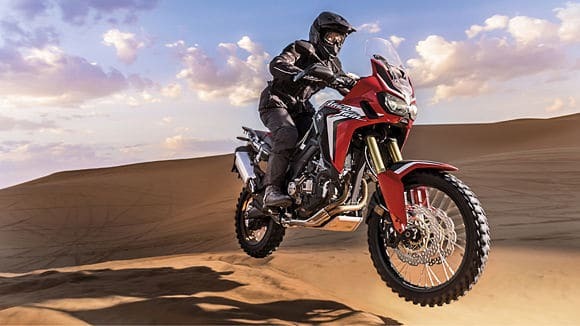 Honda used the 2016 Africa Twin to showcase a host of new technologies, at least as they relate to a big adventure bike. 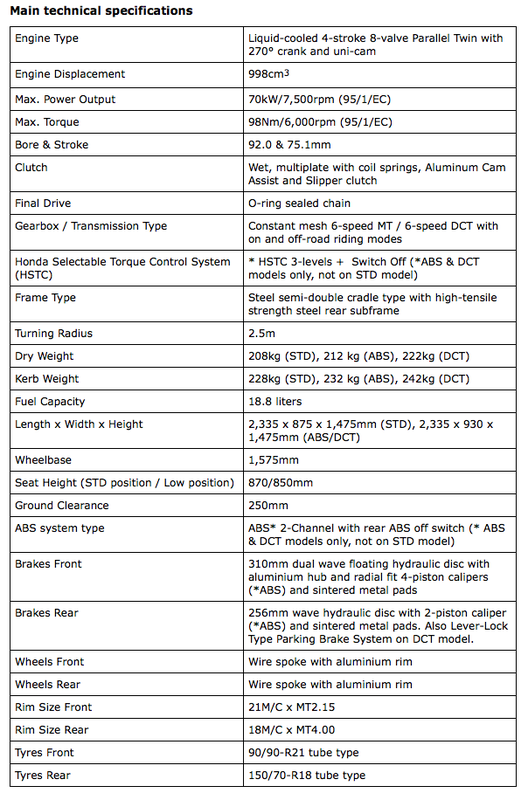 Most notably is the optional Dual Clutch Transmission (DCT). With automatic and manual modes, the DCT system is designed to offer riders precise control of the transmission with a push of a button on the left handlebar. The system is even capable of detecting the steepness of a given incline to transition the bike through the gears most effectively. 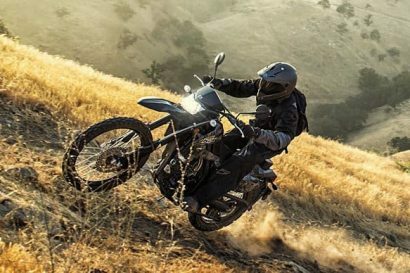 At an added 31 pounds, the DCT system might earn its weight offset with those riders new to the dirt. 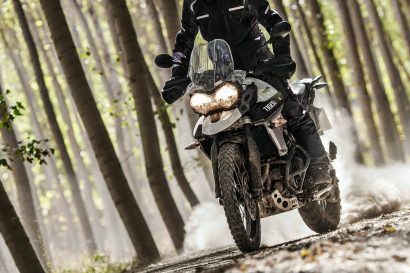 The design ethos behind the Africa Twin centered around reducing weight and bulk, and most importantly, maintaining an ideal balance. To achieve this end, the battery is packaged aft of the cylinder head and the water pump is contained within the clutch casing to reduce overall engine bulk. That engine is a derivative of their CRF250R and CRF450R machines with materials shared by the brand’s high performance CBR1000RR sportbike. 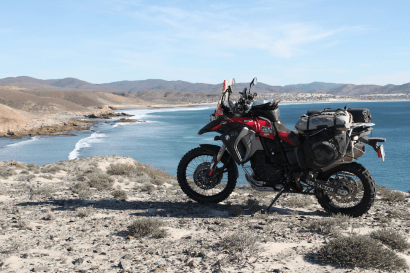 Time will tell how well the Africa Twin will do in North American markets, but as best as we can tell, it’s going to poach a lot of riders from the BMW and KTM fold. As a former owner of a 1989 Africa Twin, I can’t wait to swing a leg over the new iteration. It looks very much like the motorcycle we’ve waited for so long to have. For the full story on Honda’s website, click [HERE].